Today marks one month since we picked up the keys to Braeside Road, our 8th renovation project. 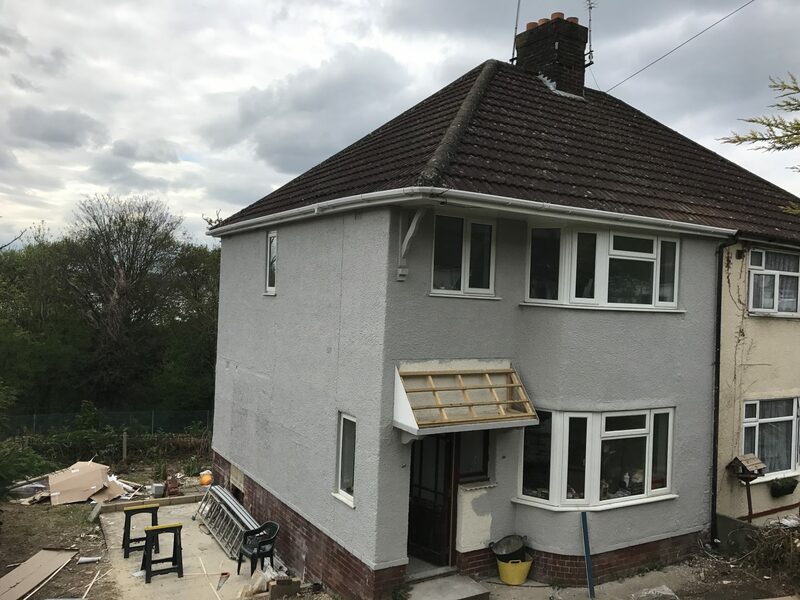 It’s really looking like a home now, and we’re on track to complete the entire house within the 8 week timescale we set ourselves. 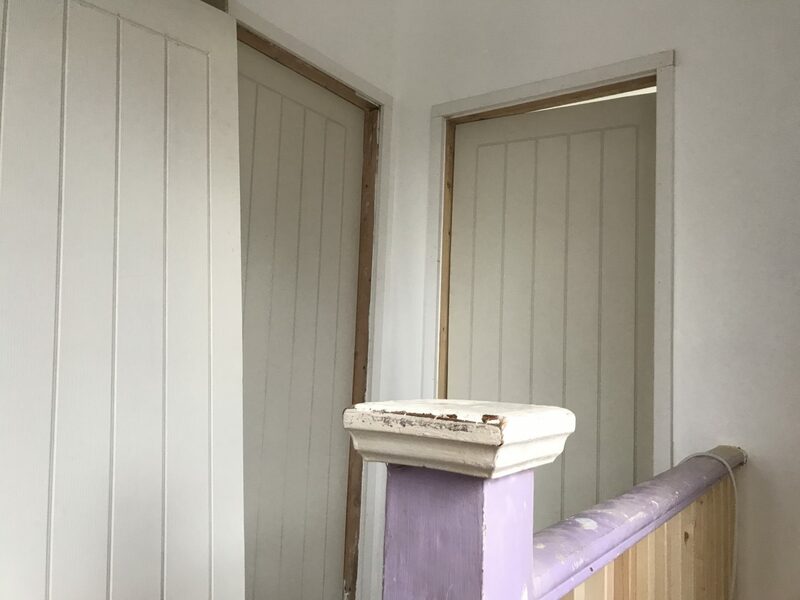 After a fresh coat of paint, the house is looking much brighter from the outside. Most of the bushes are long gone and we’ve come to realise the size and potential of the plot we’ve bought. We’re currently on the hunt for a nice dark grey exterior paint for the bricks at the bottom of the house. 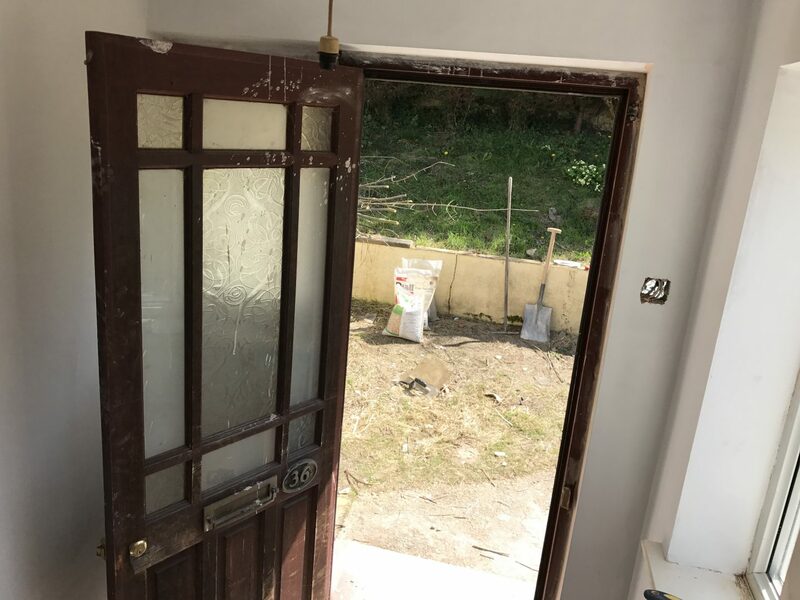 It needs to compliment the duck egg blue composite front door we’ ve ordered. The two tone kitchen I have been dreaming of has materialised and is looking rather lovely. 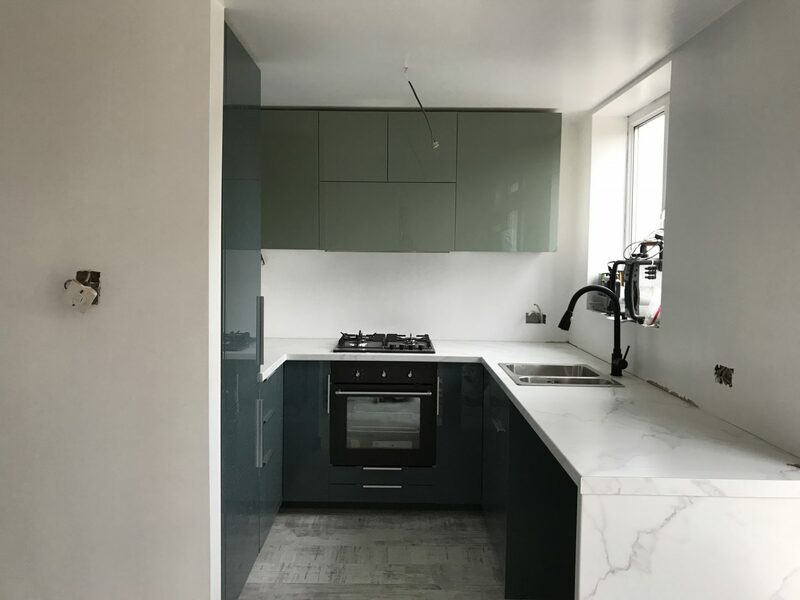 The snap I took earlier really doesn’t show the colours or do the kitchen the justice it deserves, but a beautiful kitchen is in the making. 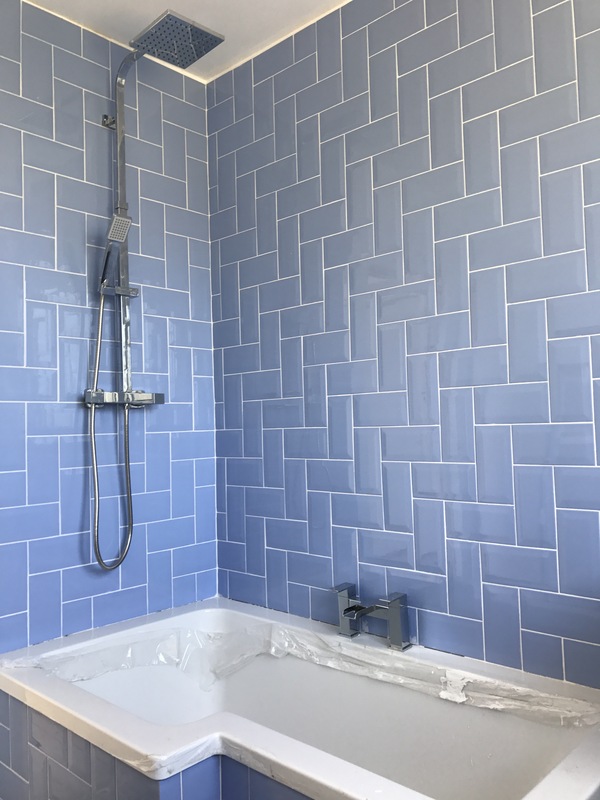 Our blue and grey bathroom is almost finished – and I’m really chuffed with how it looks. 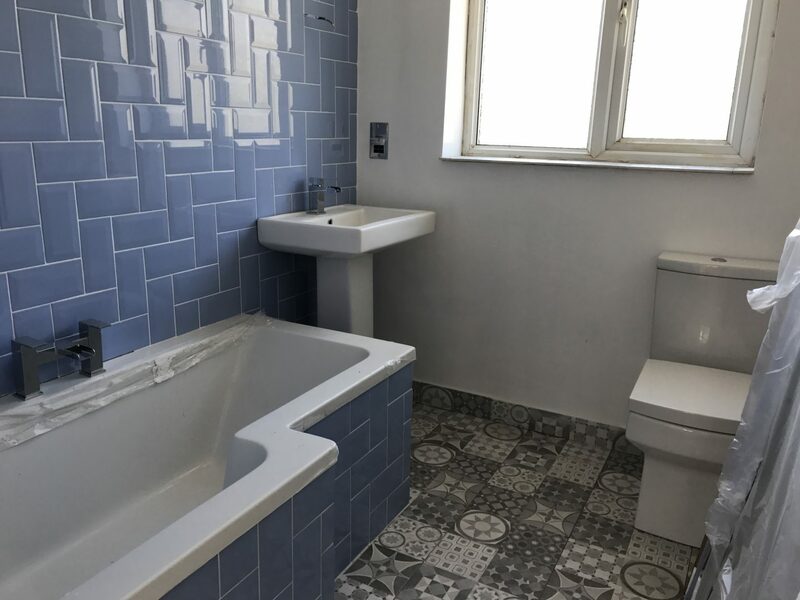 A little bit of a lay out change has made the bathroom look a hundred times bigger, and I don’t think we could have chosen nicer tiles for our small budget. 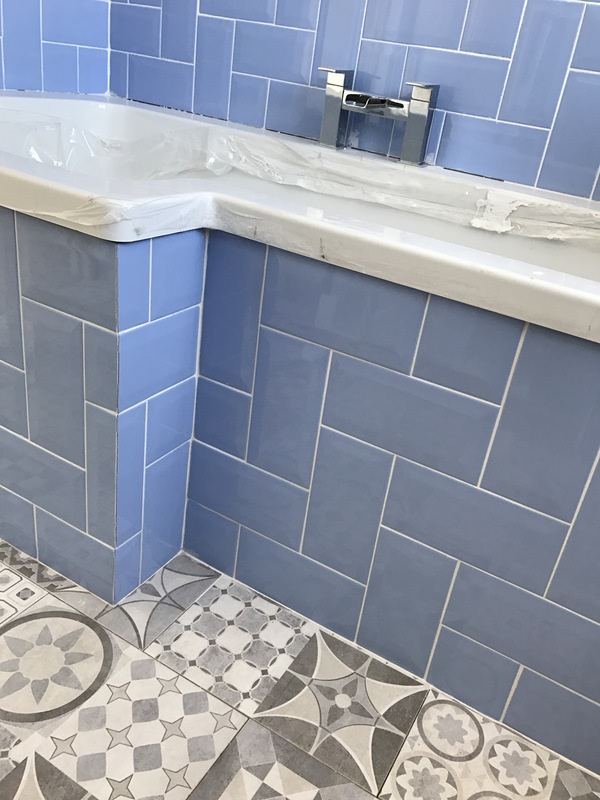 Can you believe this entire bathroom suite including radiator and all the tiles cost less than £1000! 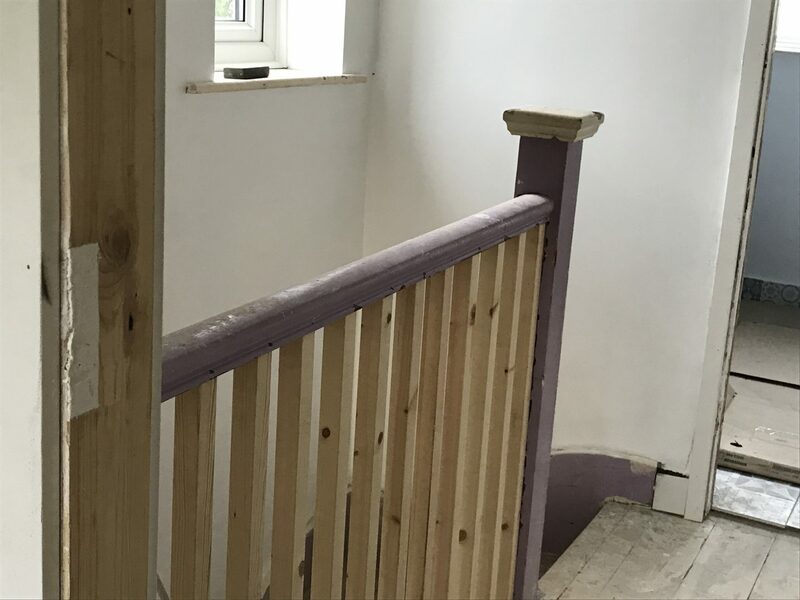 Upstairs, we have a new bannister in place, and the first of the doors have been hung, but there is still a lot of gloss work to be done, upstairs and down. Still, I expect there will be finished rooms in the next week or so. That’s exciting!